This delicate dress flows over your body like water. 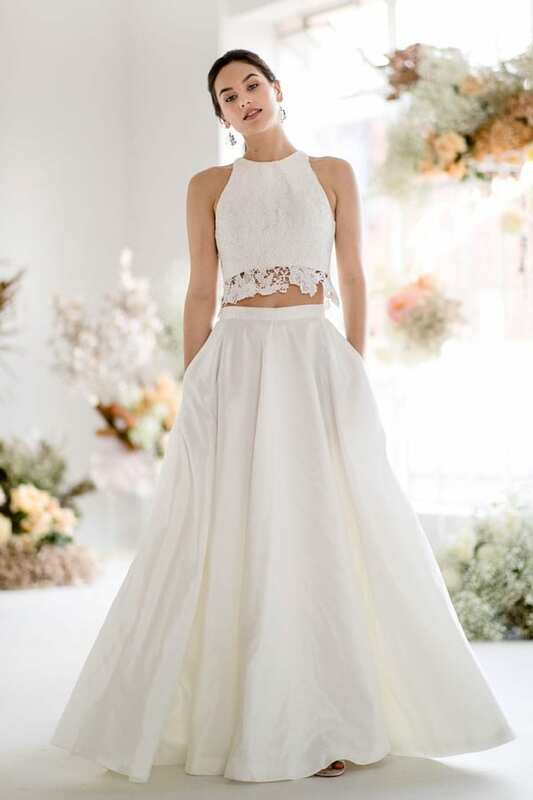 Clean lines and a simple shape make it ideal if you want to look bridal without looking too traditional. 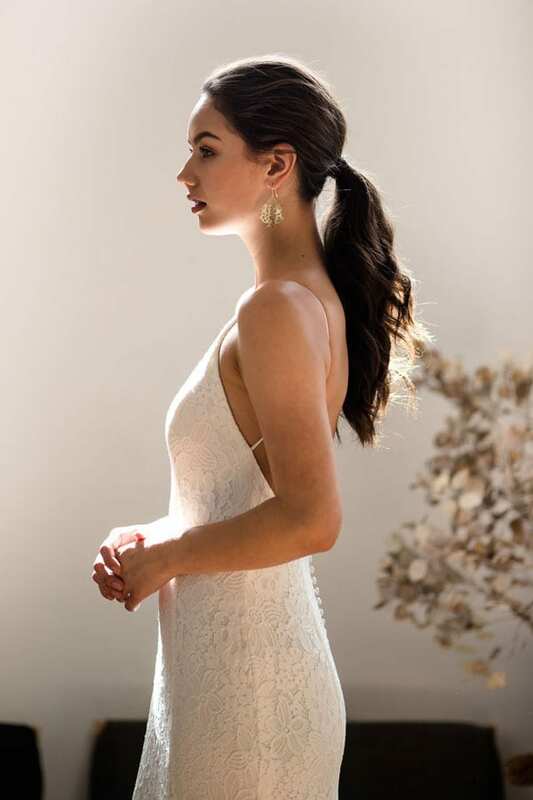 If you want to show off your back and décolletage, wear your hair up and the gown will do the rest. If you prefer to wear jewellery, a long, delicate pendant necklace will complement the plunging neckline. Because the dress is sleeveless, you may also want to wear a bracelet or a statement ring for a bit of extra sparkle. Match the delicacy of the lace with strappy, metallic heels or sandals.